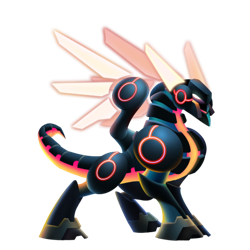 The Cyber Dragon was never meant to see outside laboratory walls. Built as a test dragon for tech researchers, this robotic beast had enough poking and prodding and has since escaped the cold lab to develop not only a mind of its own but extreme curiosity. Cyber is not Currently Breedable. Sorry. These dragons can all critical hit against Cyber, but won't be critical hit by Cyber.